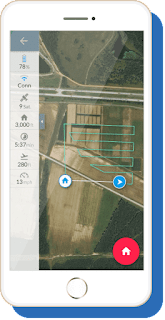 Home » Drone » Drone Software » Comparison DroneDeploy and PIX4D: Which is Better for Agriculture Industries? 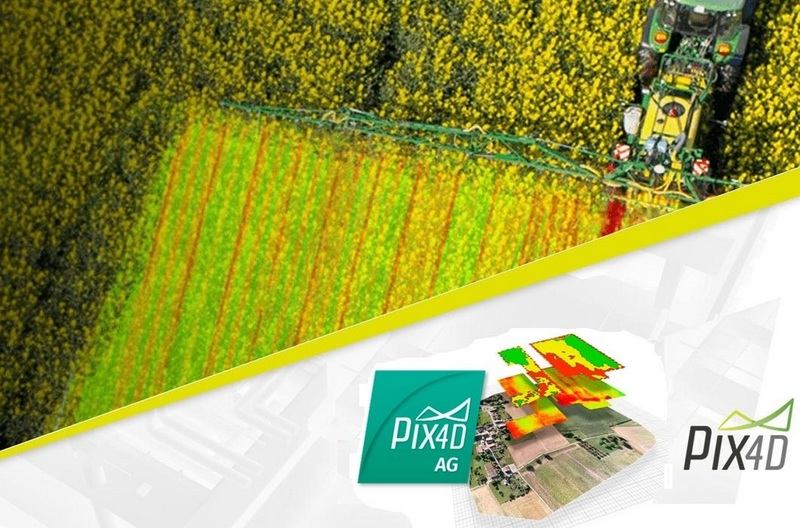 Comparison DroneDeploy and PIX4D: Which is Better for Agriculture Industries? Agriculture nowadays becoming one of the fastest growing markets for the intuitive software solutions applied in the commercial drone, Agrotechnomarket has decided to take a look at two of the market leaders to display what they can offer to agriculture businesses considering the implementation of drone services. Thousands of DroneDeploy and Pix4D users create ag-focused drone maps and models on a regular basis. Read on to find out what DroneDeploy and Pix4D can offer and how they could benefit your commercial UAV plans in agriculture industries. Below is a short comparison of DroneDeploy and Pix4D. DroneDeploy is an intuitive solution used to create aerial maps and 3D models. Using their mobile app – which is available on both Android and iOS – it’s possible to transform a range of DJI drones into reliable and powerful mapping tools. We're going to be talking about 3D mapping that uses system DroneDeploy. DroneDeploy basically is a company that is trying to make it really easy to get topographical data, aerial maps, and to do 3D modeling and something new that this leading cloud software platform is trying instead of the DJI Go app. Using mobile app – which is available on both Android and iOS – it’s possible to transform a range of DJI drones into reliable and powerful mapping tools. These stills can be used to create a range of visualised data from 2D maps to 3D models. And it basically makes a flight path for determining how many photos it's going to take and what order it's going to take them and you can adjust it by selecting these points you can actually kind of fine-tune the area that you want on. So it has geofencing now what about the overlap and everything is that predetermined for you. DroneDeploy’s mobile app allows users access to automated mapping services which are suitable for both beginners and professionals. Giving you complete control out in the field, their solution is a must-have for those looking to conduct aerial mapping services. DroneDeploy is an automated mapping tool for beginners and professionals looking to add an intuitive aerial mapping solution to their business plan. See below for examples of how you can successfully use this software in an agriculture industries. There's not a huge difference between the free version of Dronedeploy and the $99 a month subscription to service so download the free version and try it out see if it works for you. It still uses Sketchfab to render the 3D models and certainly presents a quick and simple operation. The free version allows up to 5 processors a month but does not include any export options but does let you view 3D modeling. Pix4D has been designed to allow professionals to generate high-quality 2D and 3D surface models through the use of aerial imagery. The advanced photogrammetry aspect of the software uses the images captured by UAVs to generate results ranging from point clouds to digital surface and terrain models, orthomosaics to textured models. There is a range of products available for Pix4D all aimed at different markets and professional services. There are Pix4D mapper Pro, Pix4D bim, Pix4D Ag, and Pix4D model. Founded in 2011, Pix4D is rapidly expanding from its headquarters in Lausanne, Switzerland, to offices in San Francisco, Shanghai, and Berlin. One of the most rapidly growing market sectors for drone services, it’s no surprise that Pix4D has focused an entire product on agriculture. Access vital data to monitor crop health and workflow efficiency that will result in increasing crop yields. You’re able to convert multispectral images into accurate reflectance and index maps, such as NDVI, and RGB images to generate high resolution orthomosaics of your fields for complete oversight of your operation. Radiometric accuracy. Optimal results from Ag-designed, multispectral cameras. The biggest benefit of Pix4D is it has a desktop app which lets you process the images on your own computer. The desktop app definitely seems to be optimized for Windows with the Mac version one at least one version behind. But at least there are many benefits to having a desktop app doing the processing rather than uploading everything to the cloud first. 0 Response to "Comparison DroneDeploy and PIX4D: Which is Better for Agriculture Industries?"